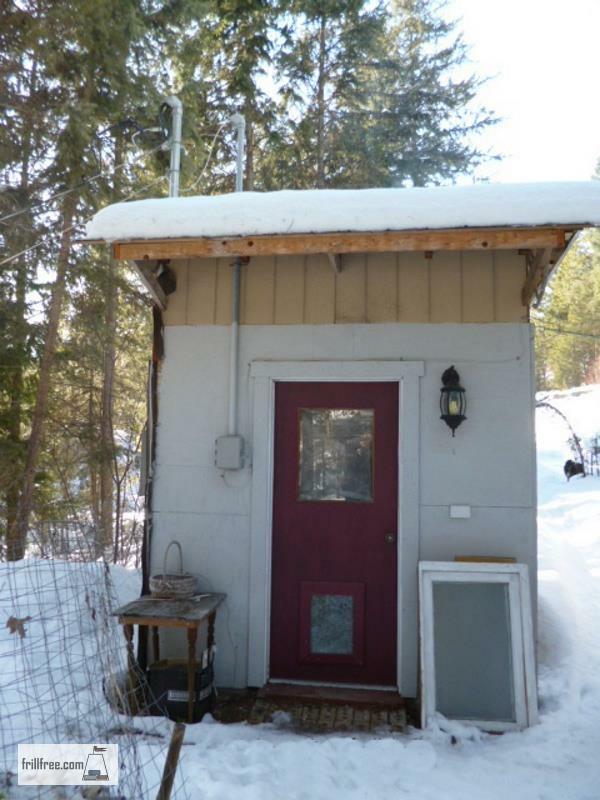 When we first started to think seriously of building our dream home, it became obvious that we would have to build a shed to run the power supply from the grid. Having the power hooked directly to the trailer mobile home was going to be problematic when we went to move it. 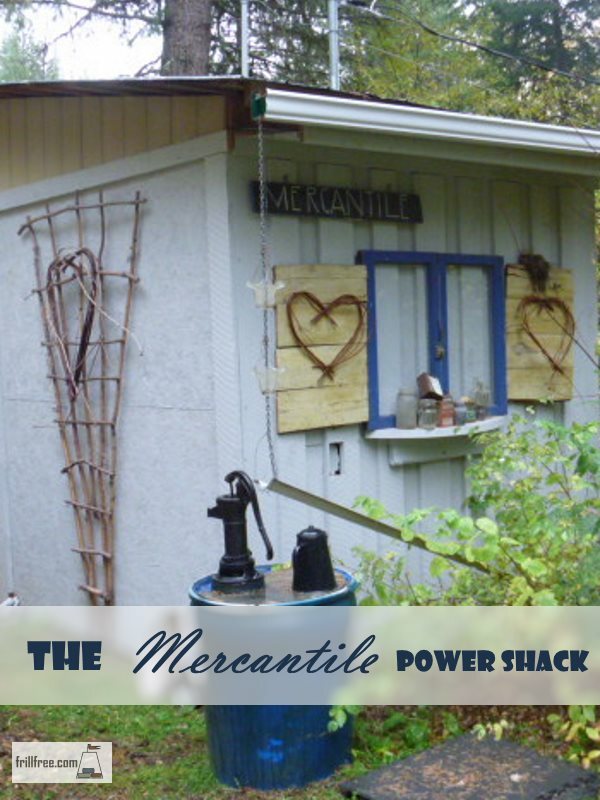 So, the Mercantile power shack project was born. Doing dual duty as a place to store other things that have to be dry, as well as the entry for the power into a large heavy duty electrical panel, we decided that we needed heat as well. Insulated walls and ceiling, as well as lights, a special RV plug for any visitors bringing a recreational vehicle or travel trailer, and lots of options for expansion makes this storage shed a very functional building. Unfortunately, there are no in progress pictures with this project - the footing was poured concrete, and then the floor was also poured. 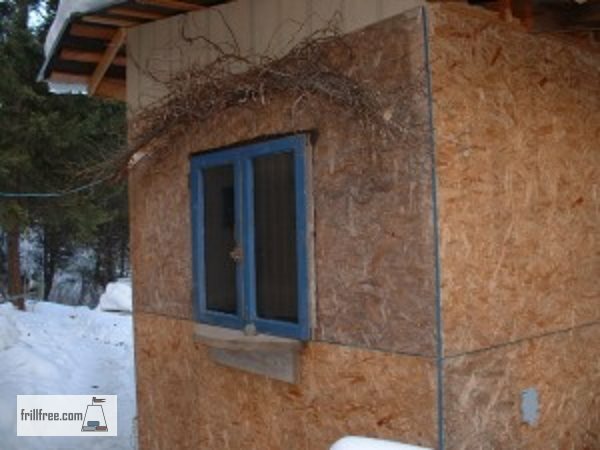 The structure is 4x4" posts in the corners with 2x4 walls, insulated with recycled pink insulation. 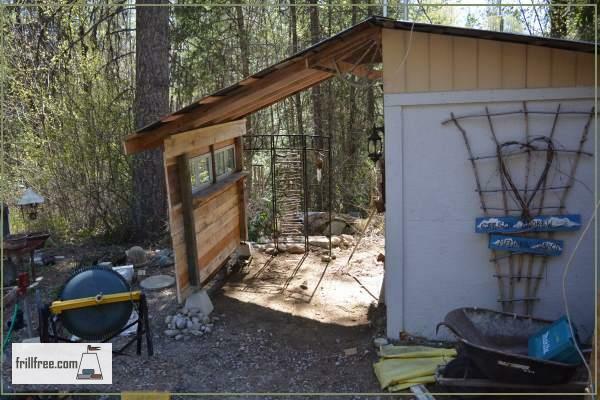 The roof is also recycled, with the 2x6" rafters salvaged from the Tallyman Shack, and also the metal roofing and insulation from that project too. The outside cladding is OSB, or oriented strand board, painted with exterior stain, and the back wall also has random width 1" rough cut lumber in a board and batten pattern. This shed also captures rainwater; it goes from the gutter down a rain chain into the plastic juice barrel, which holds over 40 gallons - the pump is a replica of a hand pump, bought new from Lee Valley Tools. Patting ourselves on the back for the great planning that has gone into the building of all the little sheds; this one is doing triple duty now as the cookshack while the house building is going on - as well as a dry place to eat and store those kinds of things that can't get wet - tools, cameras and so on. Spring 2016; things have changed a bit; now there is a large lean to built onto the front (porch) of this shed. It's my studio to build my garden art and do some crafts, like painting signs, making faux birds nests and so on.